The mighty Nexus is charged and empowered to execute the galaxy?s mass murderers, and there is no shortage of targets. But when Nexus delegates some of his docket, the appointed assassins go on a rampage, killing thousands, and Nexus must intervene or become responsible for genocide himself! 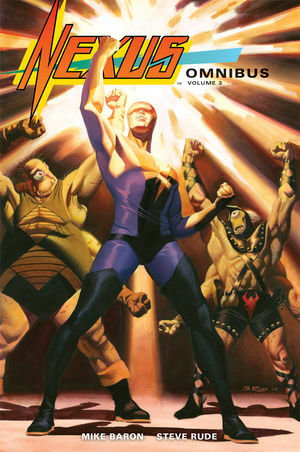 Collects Nexus #26?#39 (Volume 2). New Nexus stories in Dark Horse Presents. GUEST APPEARANCE BY MIKE MIGNOLA!